Buildings in downtown Anchorage were damaged and roads were ruined when a magnitude-7.0 earthquake hit Alaska’s biggest city today. The U.S. Geological Survey said the quake occurred at 8:29 a.m. Alaska time (9:29 a.m. PT) and was centered 8 miles north of Anchorage. The main quake was followed by aftershocks in the range of magnitude 4 to 5.8. 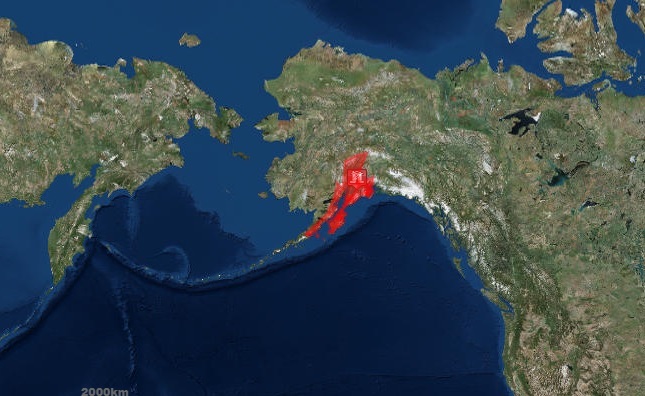 This entry was posted in GeekWire and tagged Alaska, Earthquakes, Science. Bookmark the permalink.